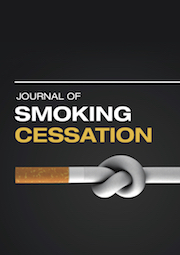 Journal of Smoking Cessation is the world's only publication devoted exclusively to the treatment of smoking cessation. The journal is targeted specifically to the area of smoking cessation at the "grass-roots" level, focusing on observational studies that have practical implications for those assisting smokers to quit. It is a high quality peer-reviewed publication with an international editorial board that has itself wide experience in the field of smoking cessation.